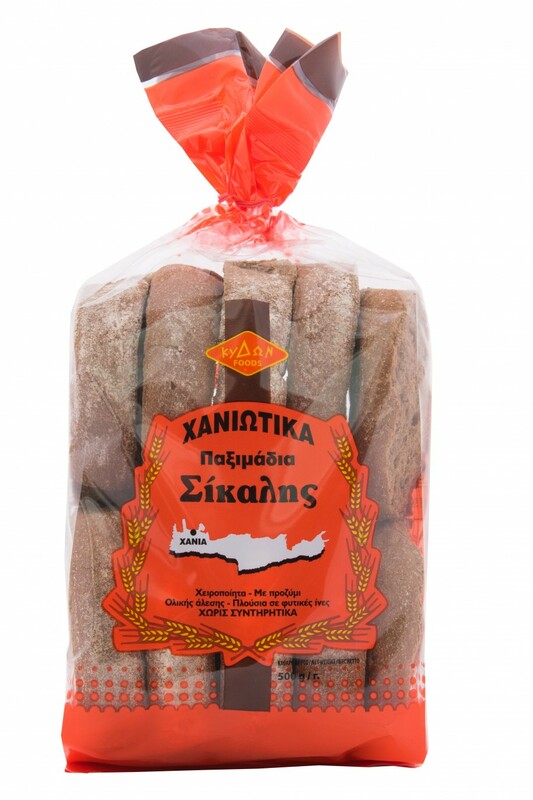 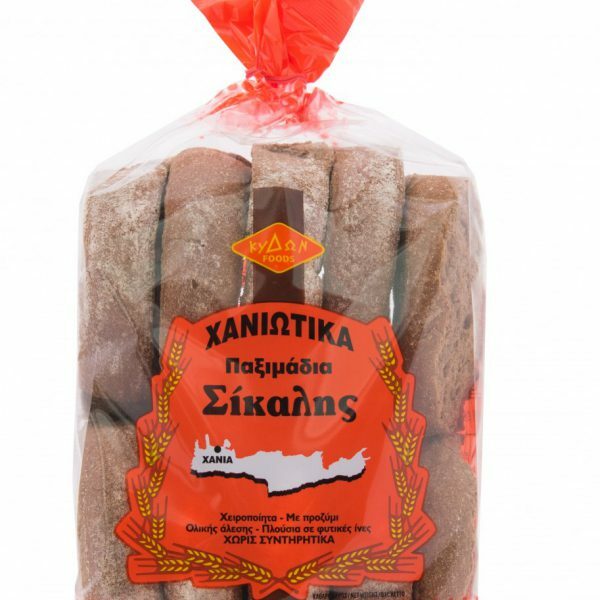 A special Cretan rusk, which evokes memories of an old era. 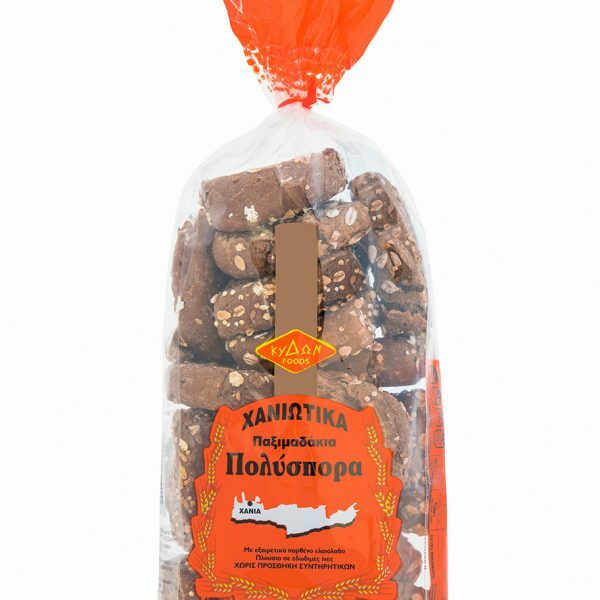 The name took from the admixture of the three cereals. 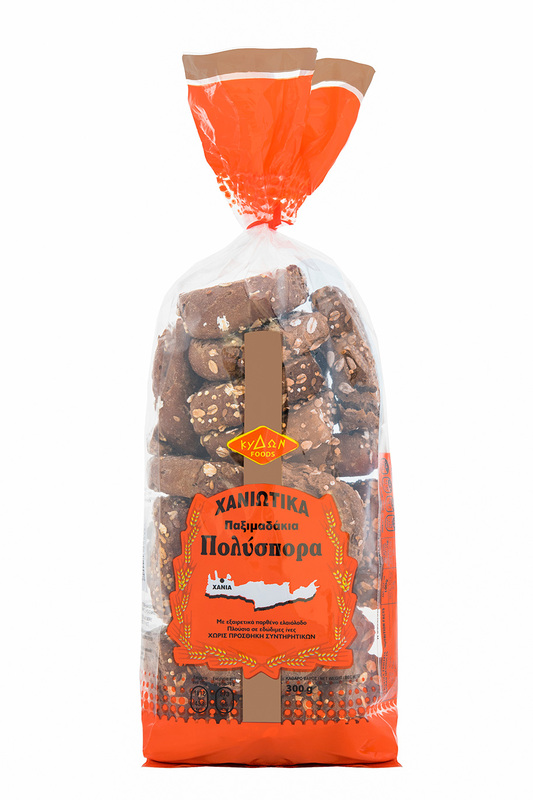 Oats, barley & wheat. 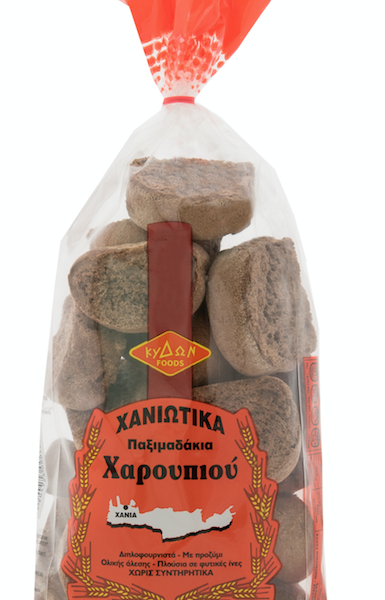 Rich in fiber, given the necessary vitamins and mineral ingredients for the Cretans the old days, in order to maintained their good health and well-being. 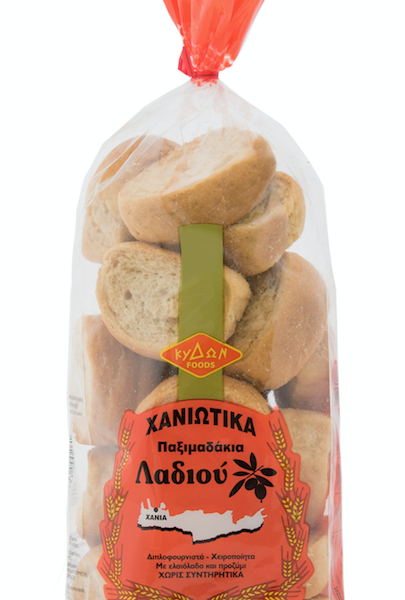 Flavorful, tasty and crispy, perfectly accompany your breakfast, lunch or dinner.